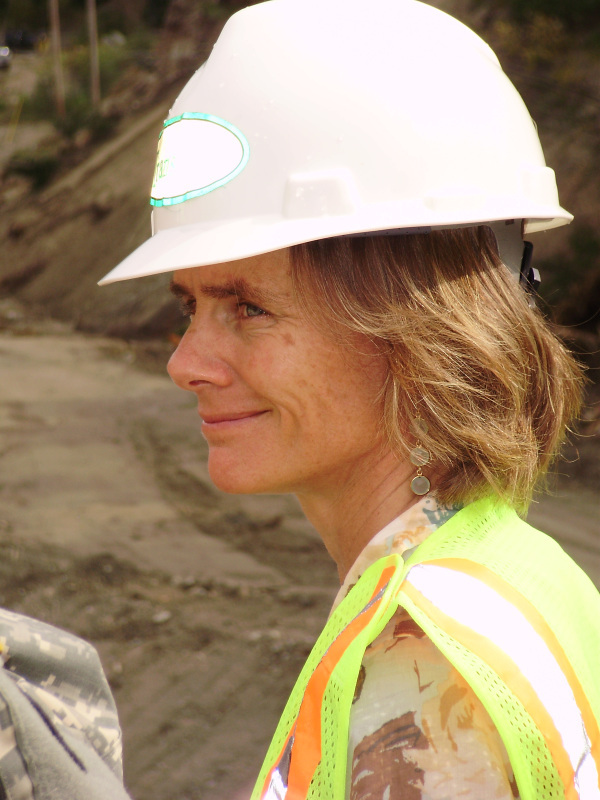 Irene Recovery Officer | The Vermont Political Observer. Deputy Transportation Secretary Sue Minter is usually the first female in otherwise male-dominated lists of Democratic politicos on the rise. (ANR Secretary Deb Markowitz, who finished a strong #3 in the 2010 gubernatorial primary, deserves mention as well; but the grapevine says she’s unlikely to make another run for elective office. That could change, of course.) She briefly broke through the GruberGruberGruber wall of news noise this week, with the announcement that AOT Secretary Brian Searles is retiring and Minter will take his place. — Four-term state representative who served on the Appropriations Committee as well as the Transportation Committee. Generally considered a key member of the Democratic caucus. That’s eight years of legislative experience. — Named Deputy Transportation Secretary at the onset of the Shumlin Administration, so there’s four years of administrative experience in a big, sprawling, crucial agency. Plus, since a lot of transportation funds come from the feds, four years of experience dealing with our Congressional delegation and the D.C. crowd. — Named Irene Recovery Officer in December 2011, replacing Neale Lunderville. Had to deal with the tough slog of rebuilding infrastructure — which also involved a lot of work (and facetime) in Washington, D.C.
— Member of the White House Task Force on Climate Preparedness and Resilience. More credibility and connections in Washington. — Now being elevated to full Cabinet status, and a high-profile Cabinet post at that. Speaking purely politically, lots of opportunities for ribbon-cutting and other feel-good news, making connections with local officeholders, and looking tough and managerial when something bad happens. (AOT is much better for this kind of stuff than, say, Human Services.) Nothing like wearing a hard hat and reflective vest to counteract stereotypes about women in politics. Transportation’s mission also enjoys broad tripartisan support: nobody’s against roads and bridges. — Married to David Goodman, writer, broadcaster, and brother of progressive radio icon Amy Goodman. I’m not falling back on the tired trope of defining a powerful woman by her marriage; in this case there’s some relevance. That’s an extremely impressive list in a period of about ten years. It’s a crying shame there aren’t more Vermont women moving upward in liberal politics, but if we only get one, Sue Minter’s a damn good one. This entry was posted in Politics, Transportation, Vermont Democratic Party and tagged Agency of Transportation, Brian Searles, David Goodman, Deb Markowitz, Irene Recovery Officer, Jasper Goodman, Sue Minter, WDEV on November 20, 2014 by John S. Walters.